It’s no secret Carrie Underwood has earned her fair share of mega-hits, including her most recent, “Little Toy Guns,” which has been certified Gold by the RIAA. After 21 No. 1 hits in her career, the artist has sold so many digital singles that she is now the top country artist in the organization’s digital single ranking, with 28 million sold across 20 songs. This number puts Underwood in the Top 5 female artists in the history of the RIAA’s digital single program, alongside pop stars Katy Perry and Rihanna. 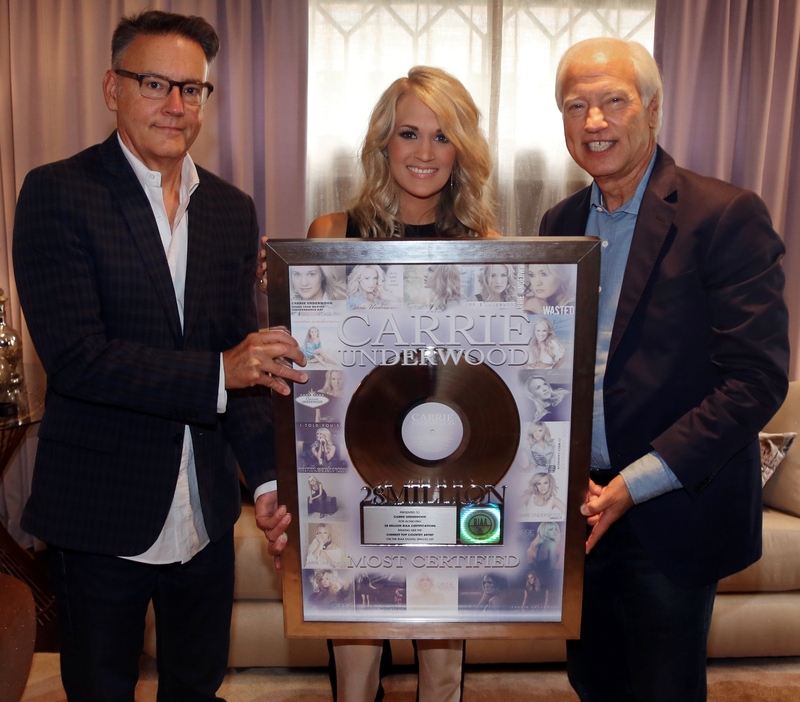 The honor was made possible by the recent Gold certification of “Little Toy Guns” and also a new 5x-Platinum certification for “Before He Cheats.” Underwood is only one of five country artists to achieve that level of certification for a digital single. 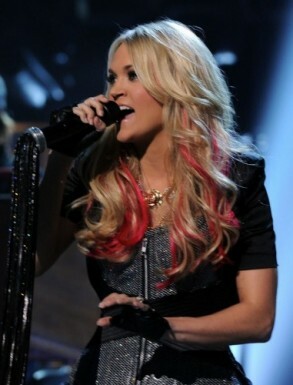 Her previous single, “Something in the Water,” also reached Platinum status earlier this year. Underwood has been busy working on music for her upcoming fifth studio album, not to mention staying fit, sometimes even alongside husband Mike Fisher. The new mom’s return to the spotlight has been anything but relaxed since her post-baby stage debut at the CMT Awards this summer, as the artist has been performing sold-out shows at the Opry, signing on for another year to host the CMA Awards, and promoting her line offitness wear, just to name a few items on her to-do list. Baby Isaiah has been learning about life on the road, riding with mom and dad on the tour bus and taking naps with dad during rehearsals.